Modern home furnishings brand West Elm is beloved for its well-designed residential furniture and décor. Now, the brand is bringing workspaces to the next level with West Elm Workspace, a line of stylish office furnishings featuring West Elm’s signature modern style, created in collaboration with commercial furniture manufacturer Inscape. The line has arrived in the Twin Cities thanks to Prevolv, a commercial furniture dealer and the largest Inscape dealer in the U.S., which partnered with West Elm on a new St. Paul showroom. The 4,300-square-foot showroom highlights more than 160 designs from West Elm Workspace’s five collections, including sectional sofas, coffee tables, sleek desks, office chairs, storage solutions, and carpets. West Elm’s venture into office furnishings was the next natural step for the brand, which also recently announced a line of design-centric boutique hotels. (A West Elm hotel is slated to open in the North Loop by early 2019, to be accompanied by a nearby West Elm retail store.) More companies are adopting open office plans resembling residential interiors over traditional cubicles and offices; desks and offices are going away in favor of communal gathering spaces and laptop nooks. 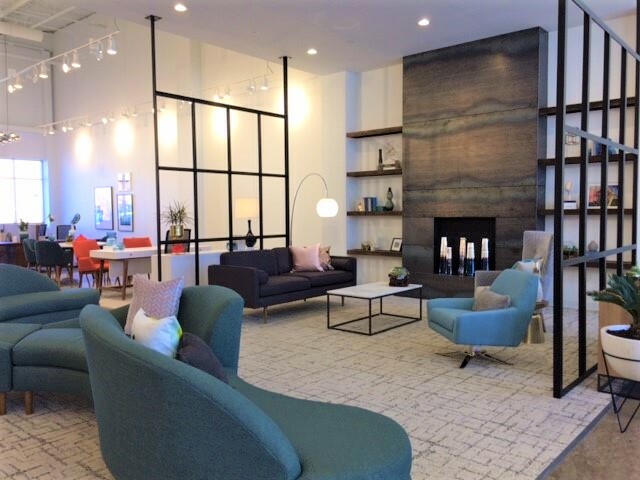 We spoke to Tim Paradis, vice president of sales at Prevolv, about the bright, spacious new showroom, which features vignettes accessorized with West Elm products, polished concrete floors, and 20-foot-high, open-truss ceilings. Why is it important to have well-designed workspaces? How did the partnership among West Elm, Inscape, and Prevolv come about? “West Elm decided they wanted to get into the corporate furnishings market, but the contract-grade market is very different from retail—there are lifetime warranties and different things that go into making contract-grade products. West Elm is fantastic at design, product development, and marketing, but has not been a part of the contract-product world, so they partnered with Inscape to be the manufacturer of the West Elm Workspace product. Inscape’s background in manufacturing and logistics was a great partner for West Elm’s design and marketing. Everything under the West Elm Workspace label is contract grade. Being that Prevolv is the largest Inscape dealer in the country, it was a natural fit for us to bring that partnership into the Minneapolis-St. Paul market. What makes West Elm Workspace products unique compared to other office furnishings? What is the aesthetic benefit to a well-designed workspace?